Mobond launched first free product m-Indicator in May 2010. Mobond is a combination of two words 'Mob' and 'Bond'. The name suggests its aim is to 'bonding the mob' or 'bonding the angry crowd'. Mobond is dedicated to build software products which will be useful to masses. We regularly collect transit data from cities and towns in India. Our aim is to provide updated travel information to commuters. 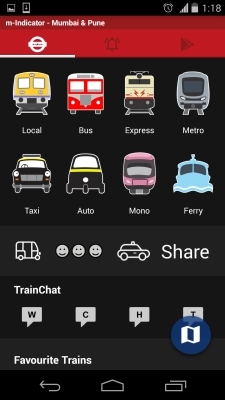 Useful in many ways This app just not gives local train schedule it helpful to mumbai kar in in many ways. 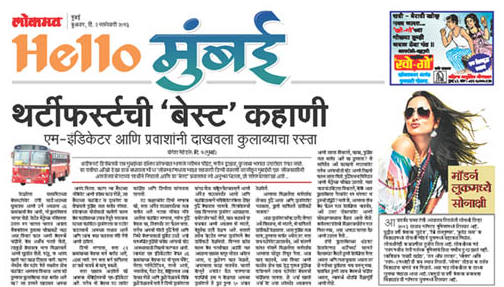 I liked d new option of it that is women safety. 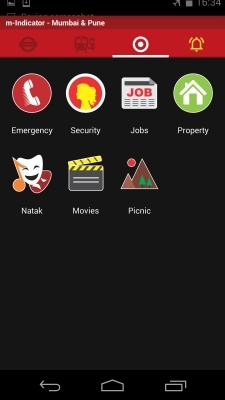 Super Awesome One of d best apps for those who are urban wanderers or even those locals who are still unaware of the ways of "actually living" in this city of Bombay. Loved the app!!! Your trustworthy companion in Mumbai ! 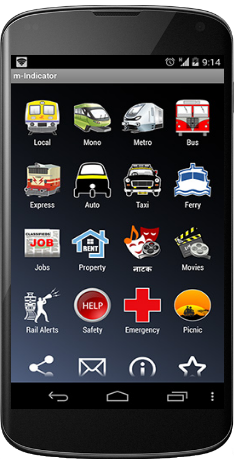 Excellent app to go around Mumbai without anyone's help ......... or misdirection. 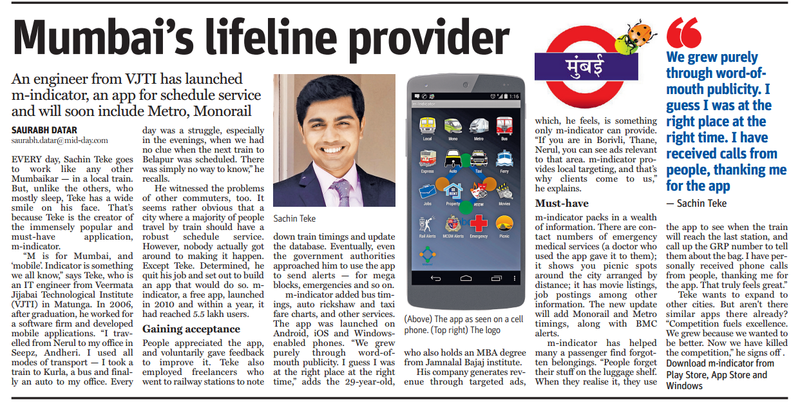 Western, Central, Harbour, Thane-Vashi, Virar-Dahanu, Diva-Panvel-Roha, Dahanu-Virar-Vasai-Panvel, Neral-Matheran . 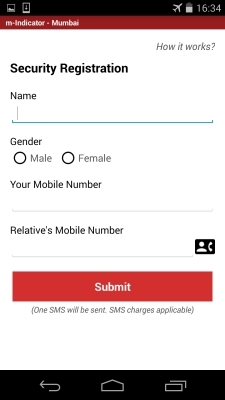 Enter source and destination and get list of bus numbers. Enter bus number and find its source to destination jounery. Enter bus stop and find which buses halt at that stop.AC bus time table (B.E.S.T and N.M.M.T).Search by local name of bus stop. See detailed route of train from source to destination. Get Normal and Midnight Fares of Mumbai, Navi Mumbai, Thane. Get A to B Auto Fare Calculator. Get Normal and Midnight Fares of Mumbai, Navi Mumbai, Thane . List of casualty hospitals. Charity Trusts providing medical financial help. Railway Enquiry numbers. 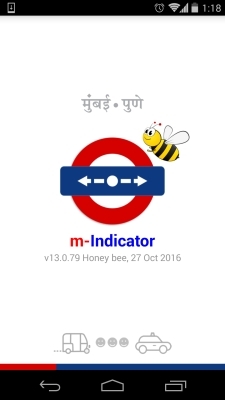 m-Indicator is NOT an official publication of Indian Railways or BEST or RTO. 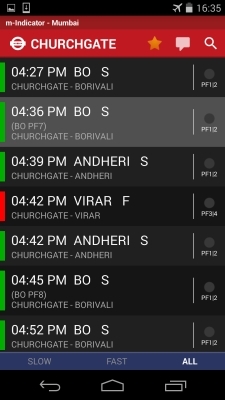 Train timings may not be matched with actual timings. PNR status and SPOT train service is provided by INDIAN RAILWAYS, premium SMS charges (generally Rs.3) are applicable. m-Indicator just acts as an interface to this service. Mobond is not responsible for any damage caused by the information shown by this software. Please cross verify the information. You may incur call or SMS charges for using certain services. Contact your service provider for the details regarding charges. You may receive text messages(SMS) or notifications or emails from Mobond containing new product information, updates, alerts. You agree that messages from Mobond, received on your registered number will not constitute an unsolicited commercial communication irrespective of their having signed upto any Do Not Call Registry. Mobond shall make no guarantees for the uninterrupted and continuous availability of the Products and/or Services or of any specific feature(s) of the Products and/or Services. The Products and/or Services are AS IS and are subject to the disclaimers of warranty and the limitations of liability as found in this agreement and which are subject to testing by the Users before entering into this agreement. Mobond reserves the right to change or terminate the Products and/or the Services. Mobond does not take the responsibility for providing any customer service related to software. Mobond may make changes to these Terms from time to time with or without notice. When these changes are made, any new terms will be made available to you at www.mobond.com. You understand and agree that if you use the product and Services after the date on which these Terms have changed, Mobond will treat your use as acceptance of the updated terms. All the copyrights of this product are reserved with Mobond. Blackberry, Nokia, Sony Ericsson,Samsung, LG, Java, Android, iPhone and the respective logos are the trademarks and/or trade names of their respective owners. No claim whatsoever is made in relation to these trademarks and/or trade names and/or logos. The use of these trademarks and/or trade names and/or logos on this site is for the proper guidance of the users, considering the convenience and familiarity of the user in associating the trademarks and/or trade names and/or logos with their respective owners and not for any advertisement or establishing any connection of this site or the application software provided on this site with the above mentioned trade marks and/or trade names and/or logos and /or their respective owners.